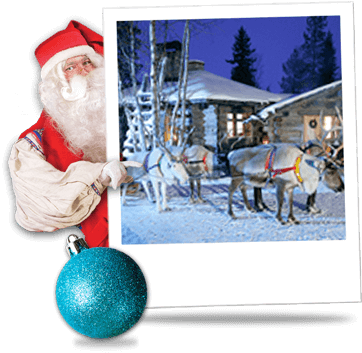 Discover what you will experience day by day on my Santa’s Magic and Santa’s Aurora Lapland breaks. The classic short break, with all our standard activities and benefits included in a lively and action-packed schedule. 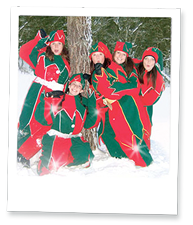 My cheeky, fun-loving Saari Elves will also be on hand, to ensure that magic and laughter are part and parcel of your time in Saariselkä. 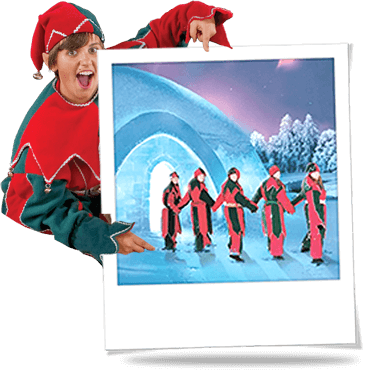 Having just flown across the Arctic Circle, the children will love being greeted at Ivalo Airport by my reindeer and friends, the Samis and one of my elves, presenting a delightful photo opportunity to capture your family’s first few minutes in my homeland! 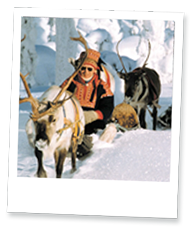 A short, comfortable 25-minute coach-ride transfers you to your chosen hotel or cabin in Saariselkä – just enough time to see if the children can spot more reindeer or maybe my little log-cabin home through the forests bordering the road. Time for your ‘Michelin-man’ impressions, as my helpers get you fitted with your complimentary thermal over-suits, boots, socks, gloves and hats. Then it’s fun-time – a chance to explore and get your bearings on arrival in my winter wonderland, make snowmen, go tobogganing, or just relax in a fragrant Finnish sauna – the choice is yours! For hotel guests a wonderful first Lapland night dinner sets the scene for tomorrow’s excitement, whilst those in my Christmas Cabins will enjoy a home-cooked family meal! 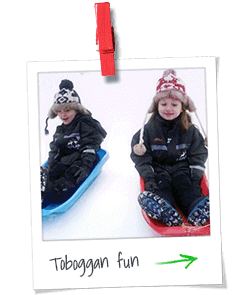 * Toboggans are available from my partner hotels and Christmas Cabins and a small deposit is usually payable locally. This extra day on my 4 day break will normally be your second day, and gives you the chance to start building up the excitement, with your choice of my fantastic Optional Adventures. And don’t forget that early bookings can save £££’s with my 50% discount off children’s prices! My helpers will pick you up for the ultimate Christmas adventure, enjoying all the following exciting activities at some point throughout the day, all of which are included in my prices! 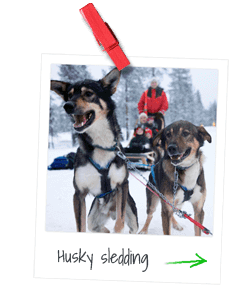 Husky Sled Ride – where the children get to ride with a parent (and shout ‘mush mush!’ at every opportunity! ), and grown-ups can all take a turn at actually ‘driving’ your own sled! Imagine your sled, drawn by five or six eager huskies, straining at the leash and eager to run, then released – and you’re off! Racing across the snow and through the woods is the most perfect way to experience Lapland’s winter wonderland. Reindeer Sleigh Ride – meet your reindeer and your local Sami guide then take a wonderful 7-10 minute ride into the picturesque woods, with the ‘swish’ of the runners across the snow, and children and parents cuddled together under blankets in the sleigh. My Reindeer centre is full of exciting reindeer based activities. Join in the fun and play on the Crazy Reindeer Golf, Try your hand and Reindeer Lasso or feed one of my reindeer friends, and find out what surprises are in store at my Special Reindeer Barn. A host of Snow and Ice Fun Activities are provided for you to enjoy, such as ice-fishing, snow-hockey, kick-sledding (a crazy Finnish cross between a scooter and a toboggan! 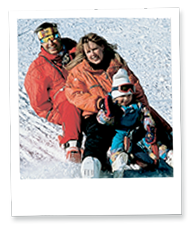 ), tandem skiing, mini-skidoo rides for the children, and my favourite – tobogganing. See your children’s faces light up with wonder, as you fulfill your family’s Search for Santa, and meet me in an Exclusive Private Family Meeting in my hideaway log-cabin home, with my elves on hand to make you welcome and ensure there is magic in the air! Finally, back ‘home’ in your hotel, finish the day with a wonderful Gala Dinner. In my Christmas Cabins meanwhile, a special festive dinner rounds off the day, while you re-live every unforgettable moment of your biggest ever Christmas adventure! Fun-time again, with the chance to thrill to another big adventure, whether pre-booked in the UK or chosen locally the day before from my range of Optional Adventures. You may have fallen in love with the huskies and want to enjoy an even longer Husky Sled Ride, or relax on Rudolph’s Reindeer Run, or perhaps take off on a Snowmobile Safari for high-octane thrills – there are plenty of options to choose from. This morning also gives you a chance to browse the village’s souvenir shops, to choose from their range of traditional hand-made Lappish items and clothes, Christmas gifts and toys. My helpful team will collect you from your doorstep by coach for the short ride to the airport to catch your flight home, to a chorus of fond farewells! An action packed break with everything you could wish for included in your holiday price. From extended Husky-sled rides to snowmobiles which parents can drive themselves, plus a Wilderness dinner and fantastic accommodation. You will be greeted at Ivalo Airport by my friendly helpers who are eagerly awaiting your arrival. One of my Sami friends and Reindeer will also be there to greet you, a great first photo opportunity. Keep an eye out as you may catch a glimpse of one of my cheeky elves. A short 25min coach transfer to resort, my helpers will join you on the coach and get you all excited with some festive songs to make the journey even quicker and help you collect your thermal suits and boots upon arrival in Saariselkä. Keep an eye out on the journey to see if you can spot more of my reindeer or elves in the woods close by. Next you will be driven to your beautiful accommodation, the Star Arctic Hotel. This hotel is in the ideal location to search for the Northern Lights due to its prime position at the top of the fell- Far away from any light pollution and boasting some stunning views of Saariselkä below. 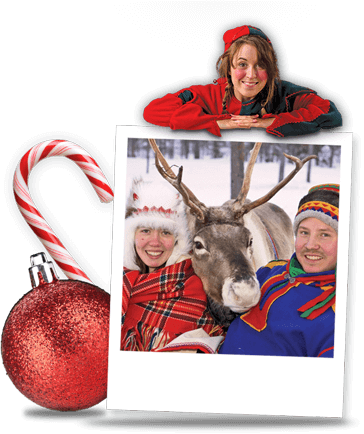 Spend some time settling into your accommodation & meet my helpful representatives who will give you all the information you need to have the complete Lapland Experience. For the rest of the afternoon you can play in the snow or perhaps try some tobogganing. Your first evening starts with an Aurora Wilderness Dinner and Igloo experience. This is the perfect location to spot the Northern Lights with the restaurant and Igloos set in the wood. Make your way into the Igloos for some enchanting stories of Sami myths about the incredible Northern lights. This extra day on my 4-day breaks only will normally be your second day, and gives you the chance to start building up the excitement, with your choice of my fantastic Optional Adventures. And don’t forget that early bookings can save £££’s with my 50% discount off children’s prices! 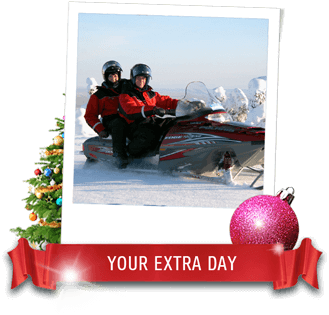 Try a sensational daytime Snowmobile Safari, where parents take it in turns to drive the snowmobile and children will be towed in a special sled by the guide, or the evening snowmobile option, with my popular Northern Lights Adventure. Perhaps enjoy a few hours downhill skiing, or Saariselkä’s toboggan run. 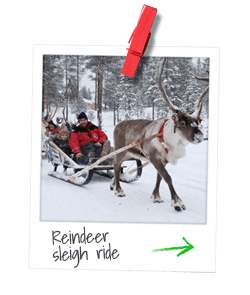 Animal lovers may prefer to go for an extra Reindeer Sleigh Ride – always a popular option with the children. Once back at the Star Arctic enjoy your half board dinner with the excitement for tomorrows Big Day mounting. 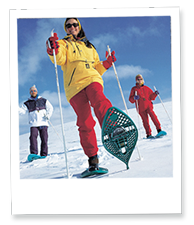 With a host of great adventures awaiting you today, this is sure to be the most memorable day of your Lapland break. Wrap up warm and pack some snacks, you will be outside in the true wilderness of Lapland with some fantastic camera moments for the whole family. Drive your own Snowmobile through the snowy wilderness and the picturesque landscape. Adults will share a snowmobile and have the opportunity to swap half way. The children will travel in a sleigh which is pulled by one of the local guides while you will follow behind in convoy. This is arguably one of our guest’s most exciting trips, The Husky Farm. At the Husky farm take control of your own team of Husky Dogs who will be eagerly waiting to take you on an adrenaline fuelled ride racing through Lapland’s Winter Wonderland. All the grownups have the opportunity to drive the husky sled while the excitable children enjoy the thrilling ride from the comfort of the sled. Not only this you will visit the dogs in their home and learn all about how a team of huskies are taken care of. Lunch will be taken back at your hotel, convenient to warm yourselves back up and have a simple but tasty lunch to get you ready for the afternoon ahead. Next it’s time to transfer to our unique activity site where there is lots of snow activities to enjoy. The pinnacle of the day for many is on your enchanting Search for Santa while being guided by one of my Reindeer. Watch children and adults alike lighten up as they glide across the snow on this relaxing and mystical journey. Time for more fun, making the most of your time in Lapland to thrill to another exciting adventure, whether pre-booked in the UK or chosen locally from my range of Optional Adventures. Enjoy an even longer Reindeer Sleigh Ride, or perhaps take this opportunity for an exciting Family Snowmobile Safari - there are plenty of options to choose from. Historically the Sami people of Lapland have always roamed freely across all four countries, following their reindeer herds as they wander the fells and forests all year round, finding the best places to graze. Mrs Claus and I also travel all over Lapland, together with our elves and reindeer, but we always spend December back at home in the little Finnish village of Saariselkä, as we get ready for Christmas Eve and my magical sleigh-ride dash around the world, to leave presents for all the children to wake up to on Christmas Day. There is so much to do here in my fun-filled forest in Saariselkä, both before and after our private family meeting, so you’ll all need to be full of energy and raring for action. Don’t forget that whichever break you choose, all the fun-packed activities shown below are always included in my own special trips, so you need not worry that you might miss out. Meet my huskies – how I love their furry coats, sparkling eyes, and their sheer excitement when they run! Mums, Dads and Grandparents can all have a go driving the sled if they wish, whilst children sit on board and enjoy the ride! My absolute favourite way to travel! Rudolph will be busy in December training my special team of Christmas Eve reindeer, but you will meet some of his friends and enjoy silently swishing through the trees on your sleigh ride. This is a traditional Lapland treat! I love to see my visitors whizzing down the slope and hear all the laughter and shouts of fun. Mostly it’s the children who keep coming back for more, but often it’s the Mums and Dads too! Noisy but so much fun! 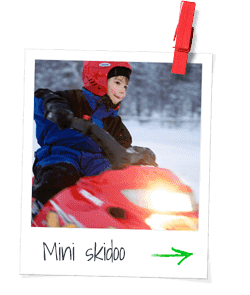 Children can ride time after time on my special mini skidoos. Specially designed to be safe for youngsters, this is a wonderful opportunity for the children to try something exciting and different. 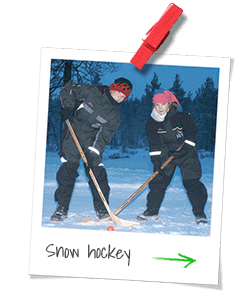 Watching my team of helpers playing snow hockey with our visiting families always makes me laugh – how good do you think you and your family might be? Challenge my helpers to a game and find the snow champions! With the warming affects of the Gulf Stream, Lapland has significantly milder winters than other areas along the same latitude such as in Greenland or Alaska. The climate is sub-arctic with sparse vegetation in the north and dense forests in the South. The first snowfalls start in September and October and snow will stay on the ground until April and early May. The growing season in summer is adequate for temperate cereals like rye, barley and oats and also potatoes. After the Polar Night in midwinter, the sun rises for the first time above the fells with a burst of pale colours whilst during midsummer, the sun doesn’t set. The local Sámi people have always paid great attention to these natural phenomenon and the ancient Sámi believed that all objects in nature had a soul whether people, animals, plants, stones or the Northern Lights. Lapland holds under 4% of Finland’s population yet about 30% of the land area. Just under 7% of Lapland’s area is made up of lakes with the largest being Lake Inari. The population is 184,000 with approx 7,000 indigenous Sámi people and there are over 200,000 reindeer! The administrative capital is Rovaniemi with 58,000 people. Finnish is the main language with some people also speaking the Northern Sámi, Inari Sámi and Skolt Sámi languages. Lapland is also recognised as being the home of Father Christmas. Lapland does not have a great abundance of animals but what it does have are very impressive. The most well known is the reindeer which have adapted to the harsh climate living off hay, grass and lichens which in winter they dig for under the snow. There are also wolverine, bear and wolf whilst in the sky fly buzzards, eagles, larks and willow warblers. Pine and spruce trees are common in the south with more treeless fell heaths in the north and many lichens in these sparsely wooded areas. Sphagnum mosses thrive in the boggy areas as well as an abundance of vitamin rich berries. The Cloudberry is the most well known collected from the bogs in late July and early August. Traditionally the Sámi are a semi nomadic people mainly connected with reindeer herding and also fishing which are caught by drilling holes through the ice of the frozen lakes. As self-supporting nomads, their clothes and goods have been designed for largely practical use but they are also highly decorative. Functional items include knives, cases, cups and the well known ‘four winds’ hat. Use of wood, antlers, leather and roots is common and the traditional colours are red, yellow, green and blue. The famous Sámi house is the Kota which is a wigwam style tent, covered with firs and skins. Inside is a fire on which reindeer and smoked fish delicacies were lovely prepared. It’s the best place ever. We had a fab time last year and would love to go back again. There’s so much fun to fit in. We had an incredible time and both girls are still talking about it 6 months later. A truly magical experience. "It’s the best place ever. We had a fab time last year and would love to go back again. There’s so much fun to fit in. We had an incredible time and both girls are still talking about it 6 months later. A truly magical experience." "The look of astonishment on the face of my daughter when we walked into the traditional wooden chalet where Father Christmas was handing out toys, was priceless. It was also the highpoint of a day packed full of guided activities, all reassuringly non-Disneyesque – even Father Christmas’s chalet was decorated Lapland-style. The whole time in Lapland was one I will always treasure – and I know the children will too." "It exceeded all our expectations absolutely amazing. Staff were fantastic throughout the whole trip airport to airport!! Thank you all so much." 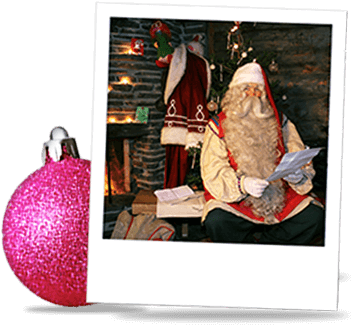 "An absolute dream come true to visit Lapland everything about Santas Lapland was very organised and all the staff were first class and the hotel was excellent. My four year old son really enjoyed it and made Christmas magical for him! We could love to visit again! " now lets see where you can stay. Not booked your trip yet?